With Facebook declining in popularity among younger users, more and more businesses are turning to Instagram to reach younger demographics.If you plan to adopt a similar strategy, you'll want to take a look at the following Instagram marketing tips and tricks for getting the most out of your presence on the site. Before you pass "Go" and collect $200, be sure to fill out the "Bio" section of your Instagram profile. Doing so will ensure that people who want to connect with you elsewhere are able to make these connections. You don't need a fancy DSLR camera to succeed on Instagram. Chances are the smartphone in your pocket has all the power you need. As a general rule, the pictures that perform best on Instagram are stunningly beautiful scenery shots. While not every photo you share will be this caliber, try to make it a priority to share gorgeous images once a week. Instagram offers more than a dozen automatic image filters, but they're not all created equal. Overall, go-to favorites for general image editing include hefe, inkwell and rise. If Instagram's filters aren't doing for you, there are plenty of other image editing apps out there to give your pictures the love they need. In particular, check out Lumie, PicMonkey, Pixlr and Color Splash. The pictures you share on Instagram don't need to be one-off photos that aren't associated with each other. Think in terms of story arcs and share series of pictures that show actions being taken, items that are associated with one another or progressions through time. Similarly, collages of pictures combined into a single image allow you to share more content with each upload. Use the image editing apps referenced above or one of a number of other programs designed to help you mash up pictures in this way. Memes tend to get a lot of traction on Instagram, so take advantage of this type of viral-style image by creating your own graphic and text combinations. Use the Meme Generator website to research current meme trends, as well as make your own to share. Last year Instagram introduced the ability to share video clips alongside the platform's static photos. To give it a try, use the movie camera icon within Instagram to record up to 15 seconds of footage and then apply a video-specific filter to improve its look. Brand marketing on Instagram can be tricky, as younger demographic users tend to be sensitive to over-promotion. Avoid irritating these users by identifying ways to share key components of your brand's image without resorting to outright sales tactics. The Ellen Show is one of the most popular accounts on Instagram, but the images her team shares aren't the kinds of polished production photos you'd expect. Instead, her candid "behind the scenes" shots help to personalize her brand and connect on a more personal basis with followers. One way to tell your brand's story without directly selling is to share lifestyle shots that reinforce your brand's persona. Sharing surfing photos, for example, gives off a casual, laid back vibe, while sharing pictures of races creates a more motivated, driven identity. If you want to be more direct when marketing on Instagram, use your uploads to show off innovative new ways to use your products. Followers tend to be quite forgiving of brand marketing efforts when they receive something of value in exchange for their attention. Similarly, one way to gain attention on this social platform is to preview new products on the site before they're released to the general public or announced elsewhere. Whenever you hire a new employee, take a photo of him or her and post it to Instagram. Doing so helps your followers to build personal relationships with your team, while also filling your feed with content that isn't directly self-promotional. Hashtags are incredibly important on Instagram. Before releasing any image, search around for similar content to see which hashtags are likely to lead to the most awareness and engagement. Don't limit your Instagram pictures to Instagram. Post your Instagram links to Facebook, Twitter and any other social media service your company uses in order to grow your user base and provide followers on other networks with valuable content. And speaking of social networks, don't forget online marketing sites. You can visit 40billion.com which is a fastest-growing network of entrepreneurs and crowdfunders. They specialize in promotion of small businesses by broadcasting and promoting to its large network of several million users across the most popular social networking sites for small businesses - including Twitter, LinkedIn, 40Billion, and even Facebook. Innovative services such as promoted company listings were created for small entrepreneurs to tap into a growing, active network online without spending thousands on pay-per-click ads or traditional advertising. They also offer crowdfunding promotion and promote crowdfunders and their campaigns/projects. Pro users of the popular Followgram service can use the program to enhance the site's navigation capabilities, as well as manage photos in albums. The less time you spend on account management, the more time you can invest into delivering great quality images. Another great Instagram tool to check out is Ink361. Use the system to discover new followers, connect with other people and analyze the social impact your photo-sharing activities have had. One last Instagram tool to add to your arsenal is Statigr.am. Once set up, you'll be able to view account stats on everything from the number of likes each of your photos has received to the growth of your follower base. Instagram tends to be a democratic space - there aren't many individual influencers who shape the community. 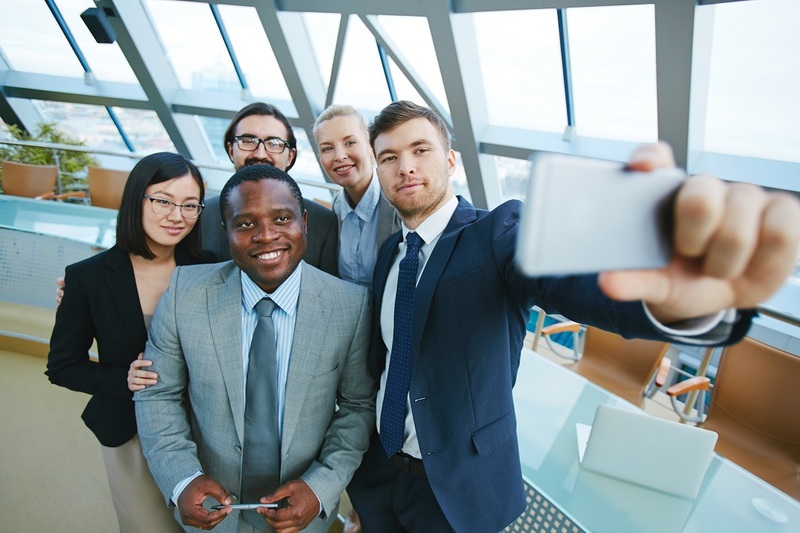 So instead of trying to find and target these power users, focus your marketing efforts on reaching out to and connecting with members of your community. Instagram contests can be as involved or as hands-off as possible. No matter what prize you decide to offer or how you'll track and judge entries, site users tend to get excited about these promotions (and the brands that run them). As you post on Instagram, pay attention to the times during the day when your images receive the most likes and comments. Use the trends you've identified to be sure you're posting at peak times when you'll be most likely to reach members of your audience. Keep an Eye on Your "Feed Speed"
Don't inundate your users with images. See how frequently other brands in your industry are posting and mimic their feed speed, paying attention to the impact on your account's metrics as you vary this rate. Recognize users that take the time to comment on your images by responding to their messages. Clicking on users' names first will add them to your response, tagging them and making it more likely that they'll see you've taken the time to comment back. Clearly, there's more to marketing on Instagram than these 25 tricks alone.